As a business owner, it is crucial to ensure that employees are motivated, inspired, productive and working to their fullest potential. As a manager of people, performance management of your staff and providing regular feedback falls onto you. Although it might be tempting to overlook the importance of regular performance reviews, particularly if you are busy, neglecting to provide your staff with feedback and continued support can lead to de-motivation, lack of productivity and preventable mistakes. 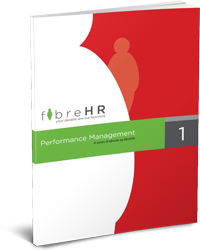 This e-book is intended to help business owners make sense of performance management, and avoid some of the pitfalls that can occur during performance reviews.